Start off the relationship with your guest on the right foot. Empowering your hotel guests has never been more important. 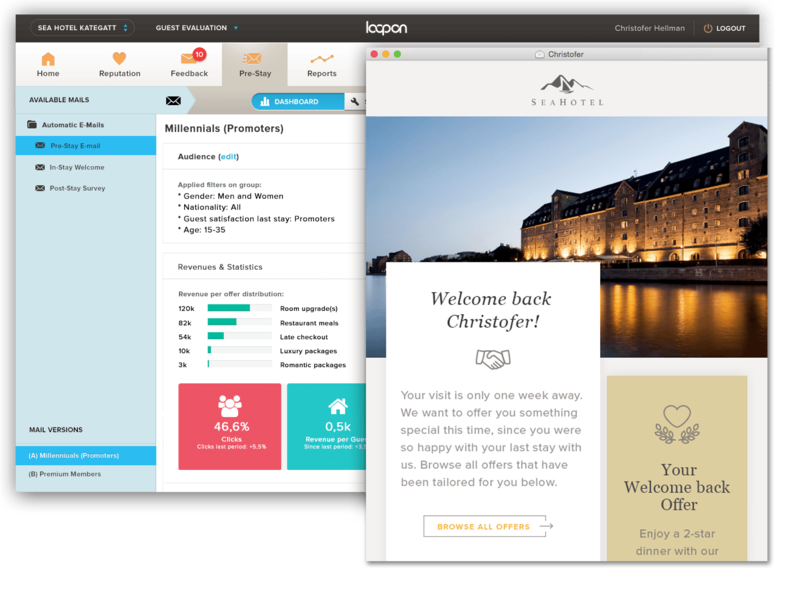 Loopon allows your guests to custom tailor their own experience through intelligent pre-arrival emails. Build new revenue streams through customised communication, upselling and cross-selling. Our emails breathe your brand. 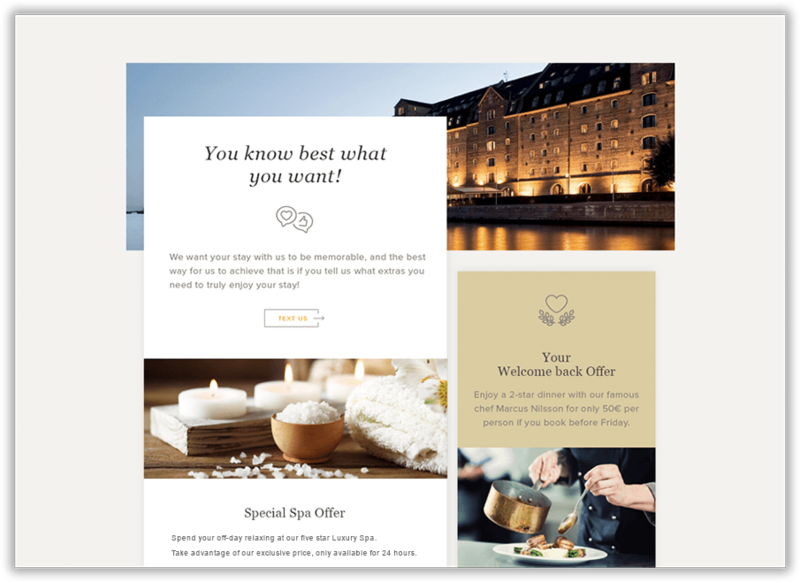 Whether you’re playful or luxurious, colourful or black & white, the design of our pre-stay emails are exquisitely tailored to your graphical profile. Change the appearance for a specific target group or campaign with just a single click. Personalisation is a key element to making your guests feel welcome from the very start. Match the right content with the right recipient at the right time. 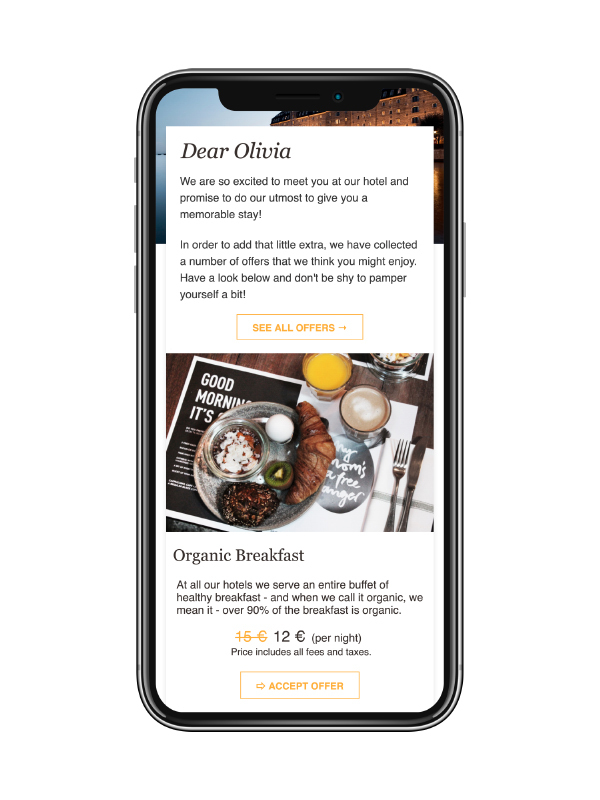 Optimising upselling emails and activities vary on multiple factors such as seasonality or type of guest. 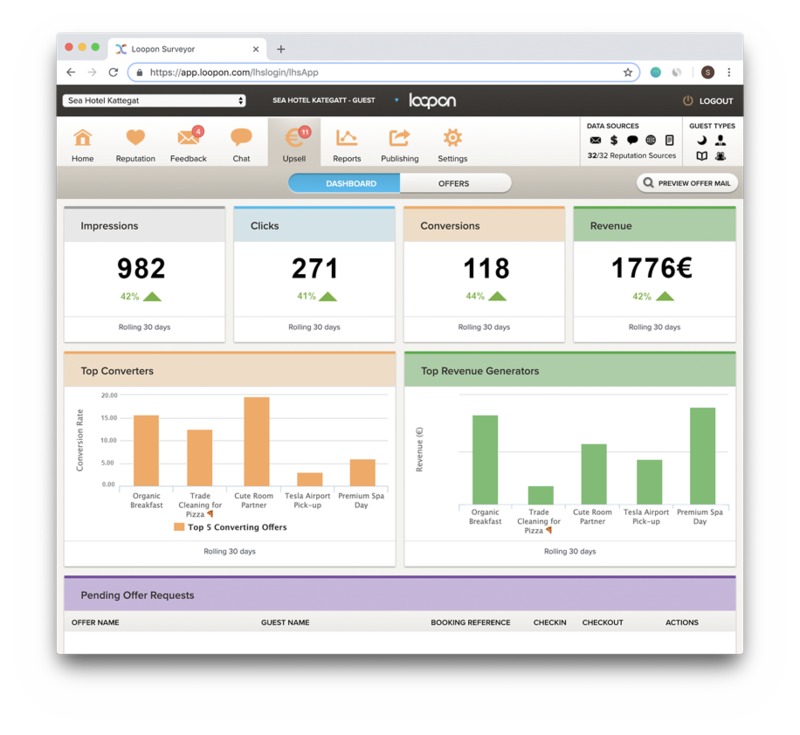 Loopon easily allows you to customise pre-stay offers through smart customer segmentation. Target the business traveller with room service or suggest a room upgrade to the couple staying in the single room. Set your own filters and reach the right recipient at the right time for the best results. We take care of delivering your beautiful emails in the optimal time-frame for a high conversion rate. Easily Track Main KPIs & Results. Measure the most important KPIs and keep track of your additional revenue. Visualise your Top Converters and Top Revenue Generators through a personalised dashboard. Keep track of which Upselling offers are working and which aren't. Perfect the art of Upselling and expand your revenue streams. Offering a room upgrade not only means more revenue but also a vacant room that can be sold again. Give your guests a restaurant offer they can't refuse or make a deal with the restaurant next door to offer their tables for your guests. Let the guest who enjoyed room service last time around get a special deal this time. The opportunities for new pre-stay revenue streams are only limited by your own fantasy. Keep the revenue for yourself, 100% commission free. 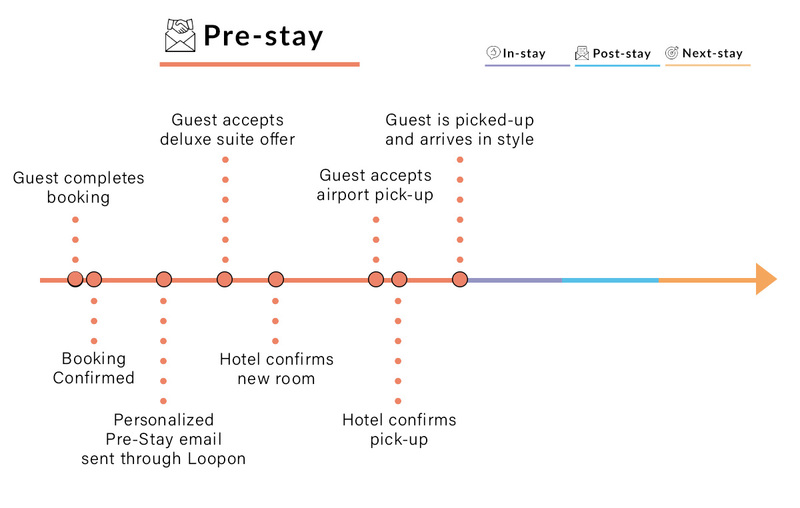 Pre-stay is the first part of the Guest Journey and is the period before the guest checks in to the hotel. The hotel can begin to communicate personalized Pre-Stay welcome offers to the guest. The guest will respond to emails and customize their stay. The hotel, in response, will earn additional revenue while improving the quality of the stay. Win-win! Try Loopon today - for free!